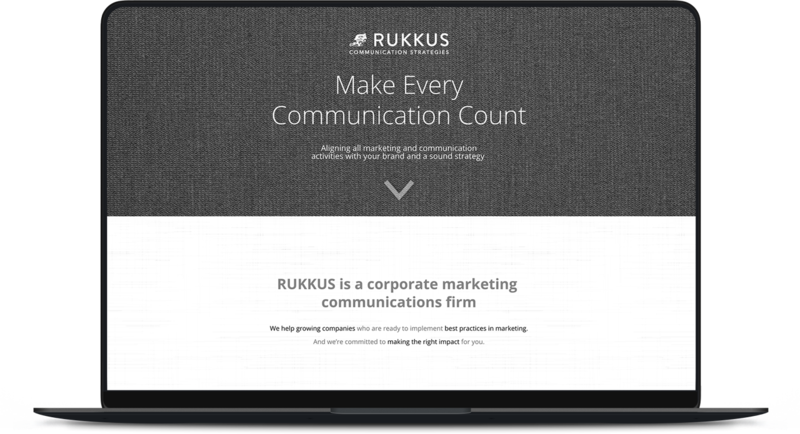 RUKKUS helps growing companies who are ready to implement best practices in marketing and are committed to making the right impact for their clients..
New website for Rukkus Communication Strategies, a St. George marketing firm that uses strategic thinking and letting the brand and desired effect guide the overall communication actions. Create a website for a marketing firm that has a unique strategy. The main task of the website to present that unique story to prospective clients.